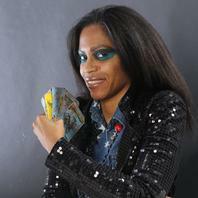 Clairvoyant Psychic Jowanda is one of our newest psychic readers and spiritual counselors. When you speak with Psychic Jowanda you’ll know you’re in the presence of a gifted psychic without a shadow of a doubt. She is a life long clairvoyant psychic and empath which means she can see, hear and feel the presences and answers to your most puzzling questions. From a young age she knew something was wrong in the world and that people were keeping the truth from the masses, it was soon after this realization that she found out it wasn’t a fluke but rather her psychic abilities coming to fruition. She is completely accepting of people from all religious background and faiths, knowing that each of them play an important role in the world around us. This same belief applies to all her readings whether they are tarot, clairvoyant or angel card readings, all of them will be done with an open and welcoming heart and mind. A very spiritually in tune and unique person, she is a blast to have a reading with and is incredibly talented. So if you have questions she can provide answers that are second to none. My brother recommended I might like this blog. Thank you for all your help!!! !